Come see old friends and meet new ones for a lively discussion! See the front desk for more information or to sign up, or call (201) 939-3930. Memphis, Tennessee, 1936. The five Foss children find their lives changed forever when their parents leave them alone on the family shantyboat one stormy night. 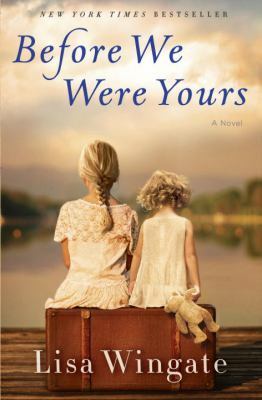 Rill Foss, just twelve years old, must protect her four younger siblings as they are wrenched from their home on the Mississippi and thrown into the care of the infamous Georgia Tann, director of the Tennessee Children's Home Society. South Carolina, Present Day. Avery Stafford has lived a charmed life. Loving daughter to her father, a U.S. Senator, she has a promising career as an assistant D.A. in Baltimore and is engaged to her best friend. But when Avery comes home to help her father weather a health crisis and a political attack, a chance encounter with a stranger leaves her deeply shaken. Avery's decision to learn more about the woman's life will take her on a journey through her family's long-hidden history.